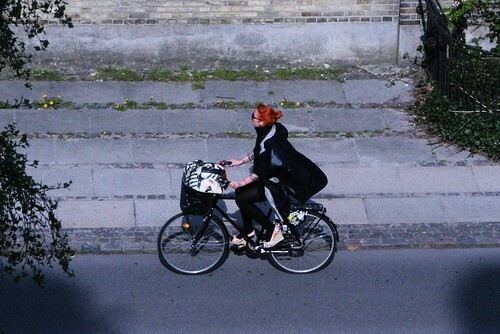 No matter how you twist it or turn it, Copenhageners ride bikes. 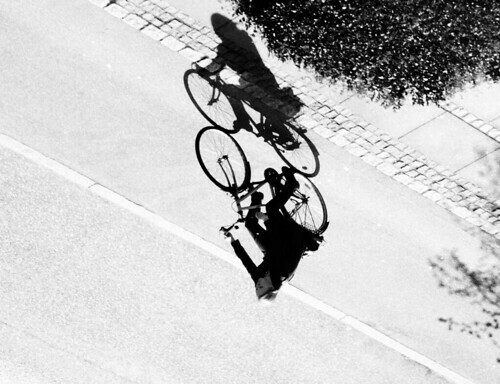 Two cylists waiting to turn left. They rode from the left of the shot, continued over the intersection and are waiting on that path of bike lane. They can either continue on if there is no traffic - just like cars - or they can wait until the light changes. The latter suits the Style Over Speed mentality. Funkaliciousness. The best thing is that her shoes match her skirtguard. First foto is fantastic! Good work!